I was really interested to get all of your comments and Annette I agree that your bobbin arrangement sounds exactly what I’m after, consider it included as an explanatory note to the list. Kate has added a knee presser foot lifter when she commented on Facebook too. I wonder if Singer or Janome or Juki or Bernina is listening. It’d be nice wouldn’t it? Oh NO! 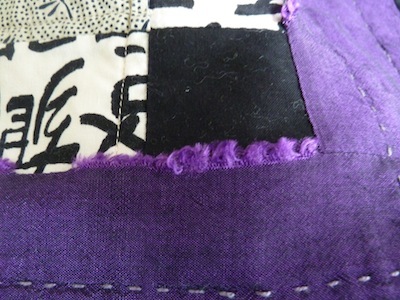 I have a bunch of that stuff in my Kaffe Sampler quilt…..I’m not finished quilting it yet. I guess I will tell my son no wash unless he has to. I do have a knee presser foot lifter thing too but I rarely ever use it – typically I only use it when chain piecing or doing a lot of piecing without having to pop up to iron. Did that make sense? Thanks for letting us know about that fabric. 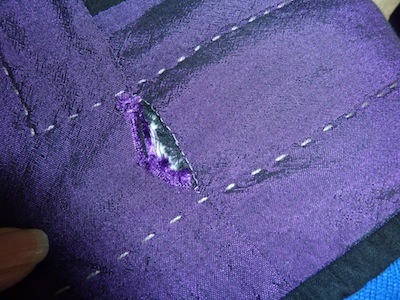 I have a Janome that has a knee presser to lift the foot. Not sure. 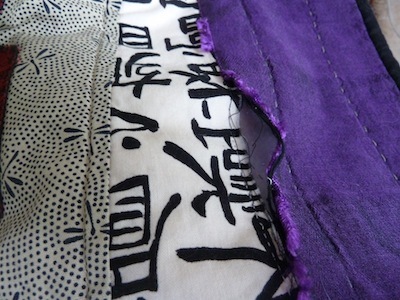 It’ll be a huge job as it’s happened on every seam of this awful fabric! Dare I ask what the fabric is? If it is what I suspect it is then I’m in trouble too.